A routine eye test may help clinicians identify early signs of at least one form of FTD according to a new study published on April 12 in Science Translational Medicine. The study, led by Li Gan and Ari Green at the University of California in San Francisco, found that people heterozygous for progranulin (GRN) mutations without cognitive symptoms exhibited twice the number of lipid-rich deposits, known as lipofuscin, in the retina than age and gender-matched controls. What’s more, these deposits could be detected post-mortem in more than 60% of cortical neurons in the frontal cortex – a key region affected by the disease. Lipofuscin, which is thought to be intralysosomal storage material, may accumulate in part due to a 40% reduction in the activity of lysosomal cysteine capthesin proteases. A total of 11 heterozygous GRN carriers and 22 age and gender-matched controls participated in the study. The non-invasive retinal imaging approach, which involves confocal scanning laser ophthalmoscopy (cSLO), is used frequently by eye specialists to help diagnose a wide-range of retinal diseases including glaucoma and macular degeneration. The study builds on previous results from the UCSF team which found, using optical coherence tomography (OCT), that people heterozygous for progranulin mutations without cognitive symptoms exhibited retinal thinning (Ward et al., 2014). Together, the results suggest that routine eye tests may help clinicians identify the first signs of FTD in people at risk of developing at least one form of the disease. The noninvasive retinal imaging strategy is currently being used to help diagnose the lysosomal storage disorder neuronal ceroid lipofuscinosis CLN11, which occurs due to the complete loss of progranulin. Ward ME, Chen R, Huang HY, Ludwig C, Telpoukhovskaia M, Taubes A, Boudin H, Minami SS, Reichert M, Albrecht P, Gelfand JM, Cruz-Herranz A, Cordano C, Alavi MV, Leslie S, Seeley WW, Miller BL, Bigio E, Mesulam MM, Bogyo MS, Mackenzie IR, Staropoli JF, Cotman SL, Huang EJ, Gan L, Green AJ. 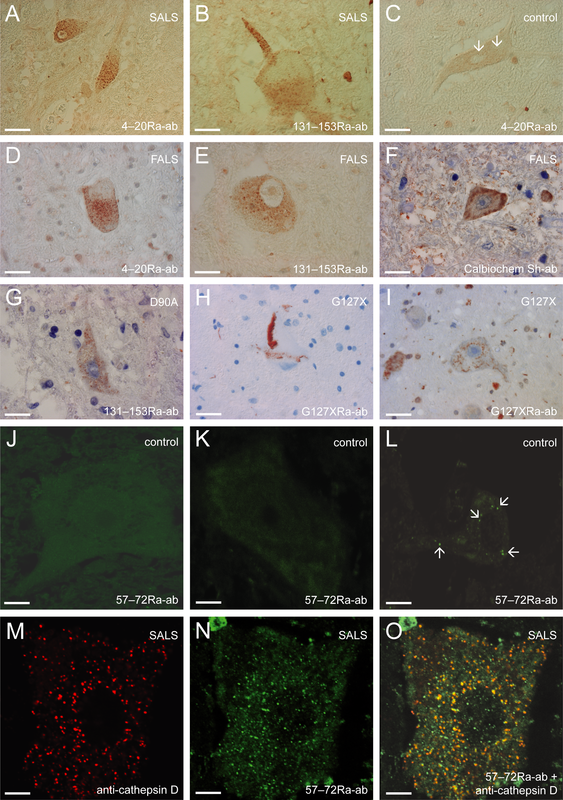 Individuals with progranulin haploinsufficiency exhibit features of neuronal ceroid lipofuscinosis. Sci Transl Med. 2017 Apr 12;9(385). [PubMed]. Ward ME, Taubes A, Chen R, Miller BL, Sephton CF, Gelfand JM, Minami S, Boscardin J, Martens LH, Seeley WW, Yu G, Herz J, Filiano AJ, Arrant AE, Roberson ED, Kraft TW, Farese RV Jr, Green A, Gan L. Early retinal neurodegeneration and impaired Ran-mediated nuclear import of TDP-43 in progranulin-deficient FTLD. J Exp Med. 2014 Sep 22;211(10):1937-45. [PubMed].